Natural Restorations teamed up with Footprints Matter to Us again for the 9th Annual Footprints Matter to Us Environmental Stewardship Event on Saturday, January 20th, 2018. 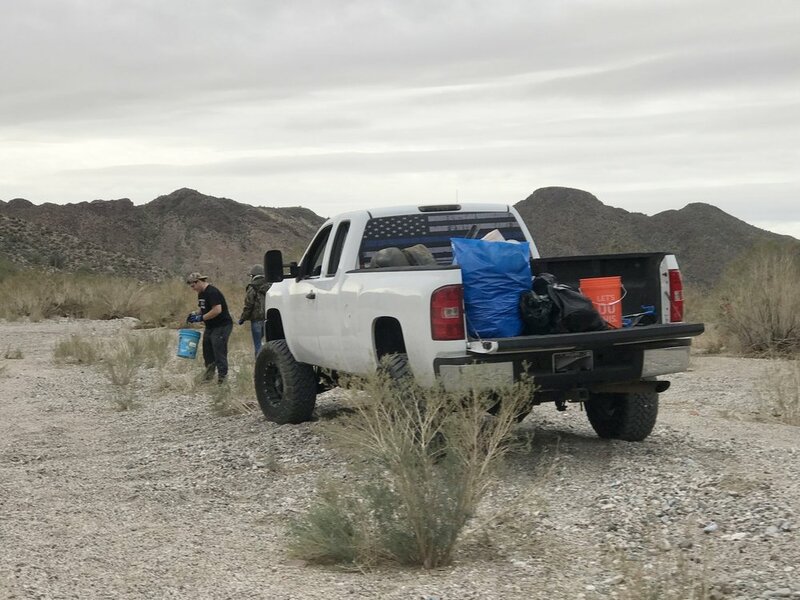 238 volunteers came out to remove 18.12 tons of trash illegally dumped or left behind by people recreating in the area, including irresponsible target shooters; that's 36,240 pounds of trash no longer littering our state! We had two entirely different cleanup sites going at the same time. 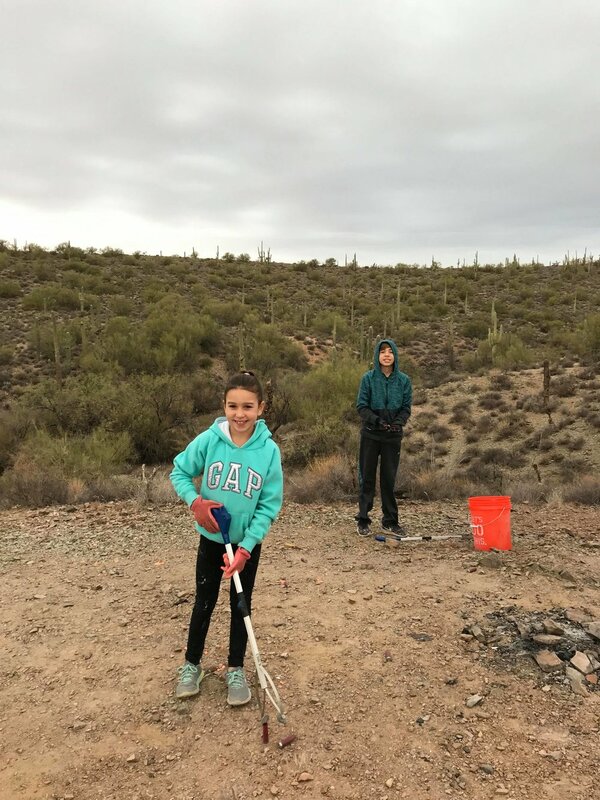 Volunteers worked on Tonto National Forest Land at Hewitt Station to remove 11.11 tons of trash. 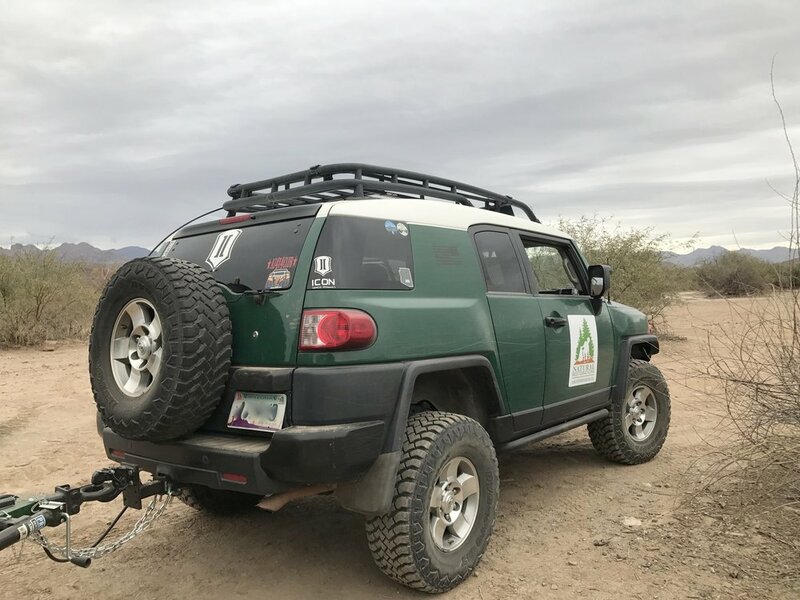 And volunteers worked on Arizona State Trust Land between Gold Canyon and Queen Valley to remove 7.02 tons of trash. We would like to thank the following organizations for their support of this event: Arizona Game & Fish Department - Mesa Region, Arizona State Land Department, Bashas in Gold Canyon, CopperPoint Insurance Companies, Empire Cat, Garland Signs & Specialties, the Home Depot on Crismon in Mesa, ICON Vehicle Dynamics, Imerys Ceramics in Superior, J.D. Bowers & Associates, J.F. 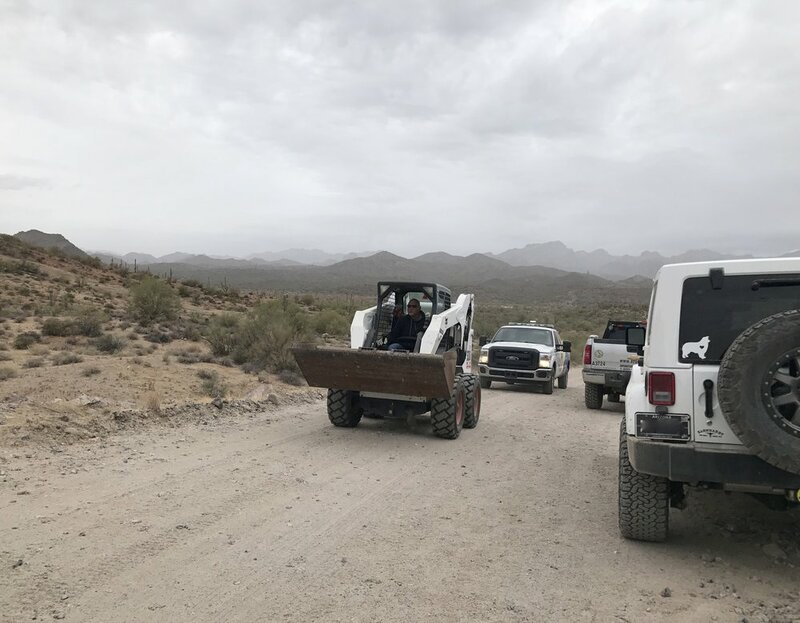 Ranch, FJ Cattle Co., Janovich Co. Inc., LeBaron & Carroll LLC, Liberty Utilities, Mr Silencer, Nostalgia Bakery, Oddonetto Construction, Pinal County Public Works, Pinal County Sheriff's Office and Sheriff Lamb, Red Bear Outfitters, Right Away Disposal, Resolution Copper, Salt River Project, Tonto Recreation Alliance, True HumVee Tours, and U.S. Forest Service Tonto National Forest - Mesa Ranger District. Thank you to Red Bear Outfitters for donating lunch to volunteers and giving t-shirts to the youth volunteers! We greatly appreciate you helping us thank all of the volunteers and organizations for their hard work. Stay tuned for pictures of the cleanup on Arizona State Trust Land and before & after pictures from both locations.